Enjoy a perfect breakaway from hectic city life or a comfortable stayover when attending a function at one of the number of venues in our area. Indulge in the peace and tranquility of our farmlike atmosphere as well as the breathtaking mountain views. Majestic oak trees, said to be over a hundred years old, are only a part of the welcoming spectacle that awaits you on arrival. Enjoy sipping one of our locally produced wines in the cosy lounge where log fires welcome you in winter. Delicious farm breakfasts are served on the verandah in summer or in the dining room in winter. 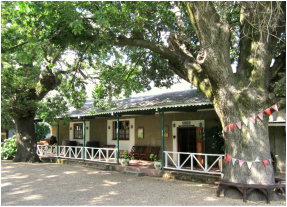 Traditional home cooked meals are prepared and served by your friendly hosts, Johan and Louella, and are available on request. 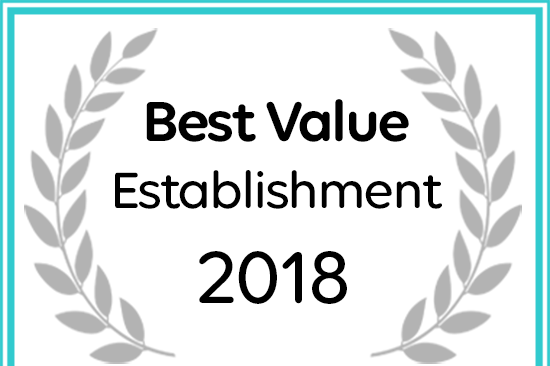 Based on reviews of establishments, Grietjiesdrif Guesthouse has been voted Best Establishment in Rawsonville for 2018. 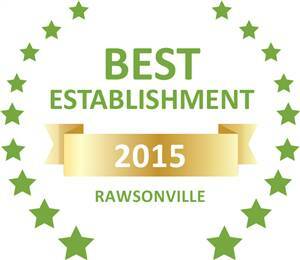 Based on reviews of establishments, Grietjiesdrif Guesthouse has been voted Best Establishment in Rawsonville for 2015. Grietjiesdrif Gastehuis has received a Best Value Rawsonville accommodation award for 2018. Enjoy a perfect breakaway from hectic city life or a comfortable stayover when attending a function at one of the number of venues in our area. Indulge in the peace and tranquility of our farmlike atmosphere as well as the breathtaking mountain views.